With today being the one-year anniversary of the Newtown massacre, I thought it would be only fitting to write this cause I’ve been working to support. As you know, the profits of my first single, Angel on Our Shoulder, are all going to charitable organizations. One of these organizations, Sandy Hook Promise, is especially close to my heart. 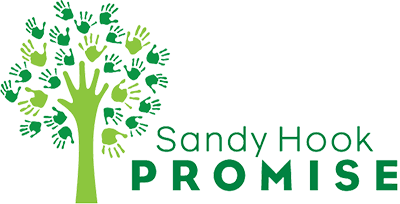 Sandy Hook Promise is a non-partisan, grassroots organization formed by members of the community in Newtown, Connecticut following the December 14, 2012 shooting at Sandy Hook Elementary School. Twenty-six innocent lives, including 20 first graders and six educators, were lost that day. The organization’s two-fold mission honors the memory and spirit of those who were murdered and those who survive in the wake of this horrific tragedy. The first mission of Sandy Hook Promise is to provide financial and other means of support to the families of the victims, the survivors, the first responders, school personnel and wider Newtown community now and for many years to come. Half of the profits* from my recording will be donated to Sandy Hook Promise in support of this critical healing mission. The Sandy Hook Elementary shootings occurred while I was writing the song, and the lyrics of Angel on Our Shoulder were modified in reaction to the event. The tragedy reinforced my resolve that we all must “step up and stand up” for meaningful change to help repair our world. To donate to the Sandy Hook Promise Foundation: click here. To read and take the Sandy Hook Promise, click here. I always hold onto the idea that you get what you give in life. And I hope I’ll always give. I hope you will too.